The application of an asbestos sealer prevents dusting and deterioration of asbestos sheeting, protecting adjacent environments from the risk of asbestos fibre contamination. Nutech Asbestos Sealer is an acrylic emulsion designed as a saturation and penetration coating suitable for both porous and non-porous asbestos. The product gives improved adhesion and surface binding properties for top coating systems including NuFlex, Tileflex or NXT Cool Zone. High pressure cleaning of asbestos surfaces or the use of mechanical equipment is prohibited. Pre-treatment with Nutech Hypo or Nu-EcoSafe MossRid is recommended. Application in cooler weather is recommended to ensure maximum penetration of Asbestos Sealer. Application by brush or roller to saturation point is required to maximise surface binding properties. High pressure cleaning of asbestos surfaces is prohibited. 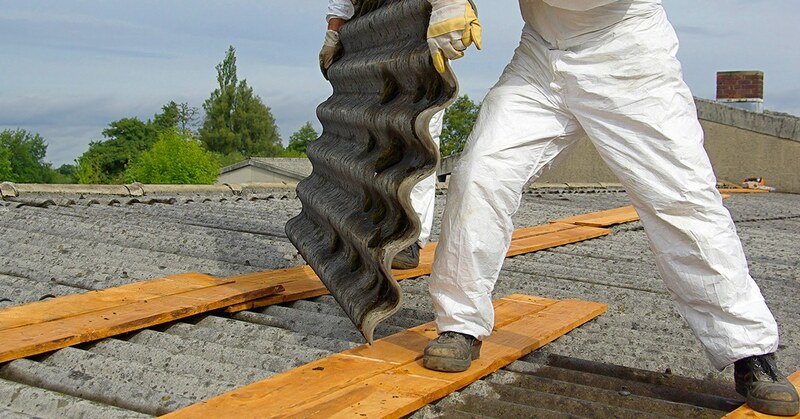 Prior to carrying out any treatment of asbestos, check with local authorities regarding specific guidelines in the treatment of this material.